It’s time that you embraced your inner stylist by wearing these Danner Men's Composite Toe 17321 Distressed Brown Quarry USA Made 400G NMT EH Boots on the job! You’ll work safely while looking suave. Debonair. Cool. For warmth and dryness, you’ll find bot ... (see full details) (see specifications) #DNN17321. It’s time that you embraced your inner stylist by wearing these Danner Men's Composite Toe 17321 Distressed Brown Quarry USA Made 400G NMT EH Boots on the job! You’ll work safely while looking suave. Debonair. Cool. For warmth and dryness, you’ll find both a 100% waterproof and breathable GORE-TEX® lining, and 400 grams of Thinsulate Ultra insulation in this footwear. How’s that for comfort? The top-grain, oiled nubuck leather provides a natural, rugged look with superior protection. With quality in mind, a handcrafted stitch-down construction provides a wider platform for increased stability underfoot when you wear these composite toe boots. There’s more? Yes, there is! These American-Made boots feature a triple-stitched exterior for superior endurance. The rugged hardware means a secure fit and long-lasting performance for you. The best part? These brown shoes have Vibram Quarry Fire & Ice outsole which is oil- and slip-resistant. It also offers superior traction in extreme cold and hot environments! There is a fiberglass shank for added durability. The non-metallic safety toe of these premium boots won’t conduct heat or cold to the foot, and meets or exceeds ASTM standard F2413-11 M I/75 C/75 EH. Electrical hazard (EH) footwear is manufactured with non-conductive electrical shock-resistant soles and heels. These Danner Men's Composite Toe 17321 Distressed Brown Quarry USA Made 400G NMT EH Boots will be both cool and durable, so you won’t have to choose one over the other! Style, comfort, and safety, all in one. Get yours from the Working Person's Store today! This is the second pair of these boots that I have purchased.They fit very well and after two years of use are still waterproof! I work on the railroad and the soles are very tough. Hardly worn after two years walking on ballast. The uppers wear very good also! No leather worn off the front to area and all stitching still intact. I water-proofed them when new and have replaced the lace's three times, but other than that the boots are awesome! Truly a well made American Product! They are a little pricey, but well worth it in the long run. Don't hesitate to choose these boots if you work outside a lot in all kinds of weather. Very well thought out American Made product. Very comfortable from day one. Hold up good and I work at a power plant!! I have put these boots through it all and they have been really good for me. I will definitely be getting another pair...a little pricey, but I have found that they are well worth the price paid. Recommend these boots for anyone on their feet a lot! Thank you for your service, quality and price of the product that the store carries. This is my fist time shopping online and I have received all my items. Due to this experience, this will definitely be my store of fist choice. Keep up the good work! 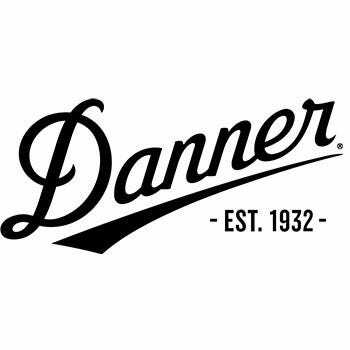 Danner Boots: Men's 17321 Brown Safety Toe USA Made 400G NMT Boots is being added to your cart.